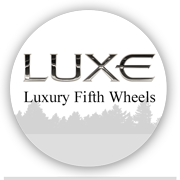 Personalize your RV - Factory Direct Manufacturer of Luxury Fifth Wheels. Factory direct gives you a fresh RV right off the line, no third party to deal with. See your RV being built, Your unit is not sitting in a lot somewhere. It's your personal RV. Luxe Toy Hauler luxury fifth wheel. We are excited about tracking this unit for you. It's our first luxury toy hauler taken from our popular Weekend Warrior 4250W floor plan. This new toy hauler has been re-engineered and upgraded to the luxury toy hauler 5th wheel class.